The gray flourish border featured on this floral reception card is given the unique look of a metallic-inspired finish. The charming floral accents are printed in your choice of color. Your wording is printed in your choice of colors and fonts. 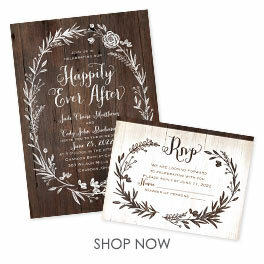 Personalization Options: The charming floral accents are printed in your choice of color. Your wording is printed in your choice of colors and fonts.